Constellation Lighting would like to introduce the Saturn 144 Flood light. Originally developed for RTG cranes at Ports. We have continued to develop this light fitting to be a versatile luminaire suitable for any installation over 25m. Whether that be crane lighting, high mast lighting or replacing 1000W and 2000W flood lights. We have had most success with this fitting in Ports around the world. 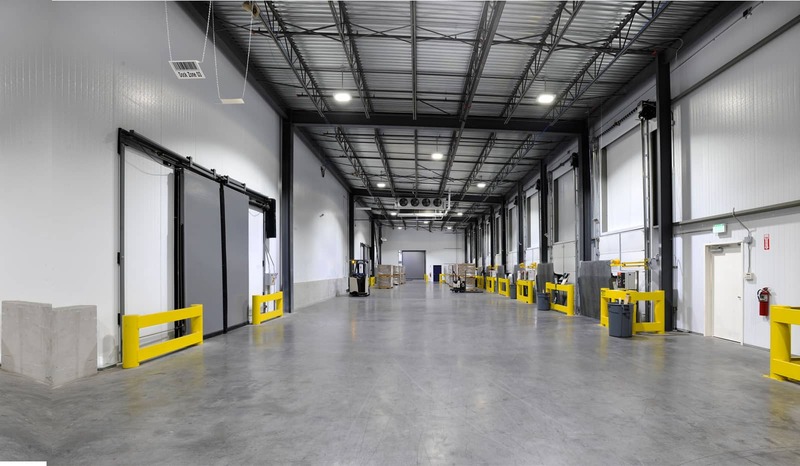 We have even been able to reduce the number of 2000W fittings while increasing LUX levels by using with our Saturn 144, 300W fittings on RTG Cranes. With adjustable wings we can specify the angle of the beams upon manufacture. This allows us to tailor the light beam to provide the best light possible for the installation. The crane operators love the light. It gives them a clearer view when operating the crane, minimising shadows on the ground and making it easier for them to pick and place containers. Due to the height these fittings can be placed at, maintenance is a huge issue. With up to 100,000 hours life span, this solves the issue of reaching the lights to change bulbs, creating an additional saving. Instant start up and no adverse affects to vibration is another huge benefit. 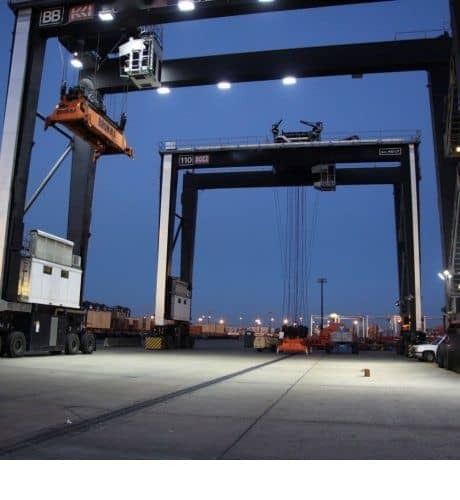 Especially in ports as this allows flexibility to switch the lights off when cranes are not in operation and have instant light when needed. The Delta and Saturn Series have now been discontinued. We now recommend the Links-LED lighting system, click here for more details.